Well done to Emma Wright, Matthew Baines, Alexandra Baines, Patrick Styles, Archie Backus, Tilly Backus (front) and Molly Cameron with friends, holding up their favourite February books at the Amazing Paper Chain prize ceremony at Orange City Library. 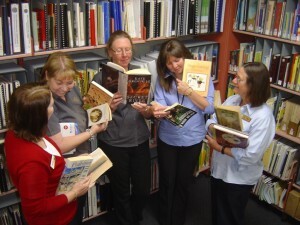 Inspiring children to read more this year is one of Central West Libraries goals for the National Year of Reading. In the childrens’ section a length of coloured paper chain is growing daily. Each link has a child’s name and book title they have borrowed and read. 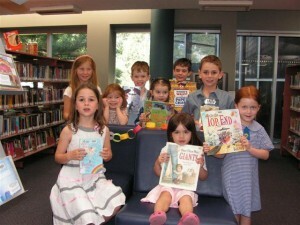 Each month children who add to the chain have the chance to win book vouchers, free reservations and bookmarks. So far there are over 500 links and we’ll hold a guessing competition at the end of the year to guess the final tally of links! Come and check it out and add your link!